Across Gender will be having another meet-up! Please come and join us in San Francisco’s summer sun with chill vibes. We will be chilling at the park munching on snack and playing board games (or some other relaxing activities). If you're 21+, it's BYOB (bring your own beer). Please drink responsibly. Just so we know how many awesome people will be joining us, please RVSP at http://bit.ly/AGMeetupAug or sign-up below. This year Across Gender has been invited to participate in Gender Spectrum’s Conference (the oldest and largest conference in the U.S. exclusively for families with Transgender, Non-binary and Gender-expansive children and youth) as their High School Lead! What’s The Gender Spectrum Conference? Think of it as part summer camp for kids, part support and learning weekend for parents, and part peer support and education for teens. It's a great opportunity for youth and families to spend a weekend gaining the resources, information, and community needed to help young people effectively navigate their world. Youth programming is designed to meet the needs and interests of children in high school (grades 9-12), middle school (grades 6-8), and youth grades 3-5 and K-2. 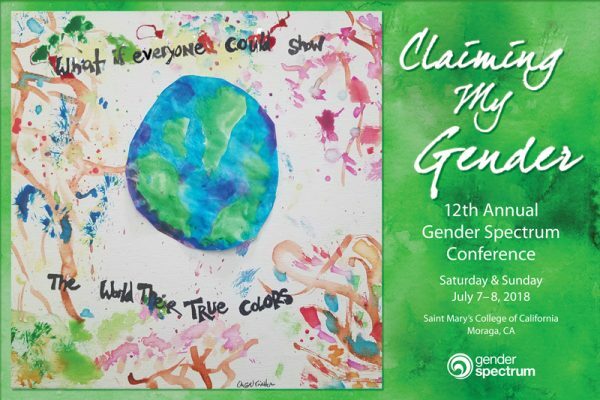 The Gender Spectrum Conference is a weekend-long event! It will be held on Saturday, July 7 to Sunday, July 8. Registration closes on June 30th! Get started here. Across Gender is super excited to be partnering with Gender Spectrum, in sponsorship with Happy Hippie Foundation, to bring you the Youth of Color Online Discussion Group! The online discussion group is open to any trans, non-binary, and gender expansive youth of color between the ages of 13-19. There are four opportunities to join the discussion group: May 17th, 24th, 31st, and June 7th! Sign up below to join! You will get a follow up email with instructions on how to join the group. You can participate by video, just audio, call in or use the chat box to participate. We hope to see you there! We are happy to announce our very first Meet-Up event on April 29th at Lake Merritt, Oakland, CA from 1-3pm. Because we created this event to build community and provide resources, we want to know what you all are interested in: would you want to use the time to hang-out and socialize, participate in a workshop, or maybe both? Let us know what you think! Please RSVP in order for us to take a head count for food and beverages. Thank you! On Sat. 3/24, APIENC's Trans Justice Working Group is organizing a TGNC Rights and Empowerment Day centered on our transgender and gender non-conforming Asian and Pacific Islander community. We are holding a day-long gathering in order to empower TGNC API people in the Bay Area towards larger social change in which we all feel safe in our bodies, homes, and communities. During this event, we’re planning for multiple workshops, community building activities, and drop-in hours for TGNC API folks to eat, relax, learn, and connect with others. ONGOING - Art station, clothing swap, and chill zone! Space Access: The building is wheelchair accessible, and all bathrooms are gender neutral. There is an elevator and 19 stairs to move between the ground floor to the second floor, and 20 stairs from the second floor to the third floor. The building is not fully fragrance free, but we do ask that for our events, folks come fragrance free (for more information, please see: https://eastbaymeditation.org/resources/fragrance-free-at-ebmc/). Across Gender has been invited to showcase for an awesome event; Con Safos! 100 percent of the money made at the door will be donated to the San Jose LGBTQ+ youth space. The event will consist of informational booths from local organizations, events, and artists. Across Gender will be offering raffles to goodie bags that contain transitional starter packs (options for trans men and women, and non-binary folxs) and our merch will be up for sale. We will also be providing informational charts and the Clothing Exchange! 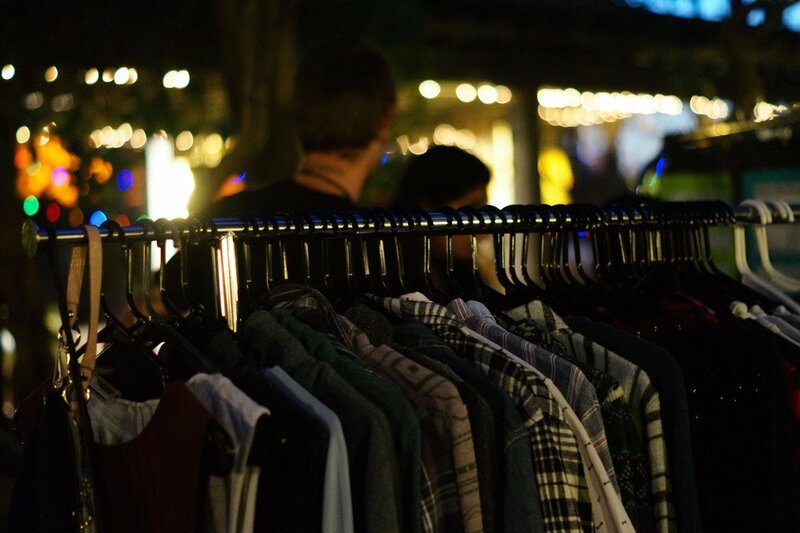 If you're in need of clothes, this is your opportunity to grab a set! 100 percent of our proceeds go back to the community, current, and future projects! Come by and say hello! The show will be on Friday, December 29th, from 6-10pm at the Mexican Heritage Plaza in East side San Jose.